As is typical, Linda did not enter the aviation business after graduating from college. Armed with a B.S. in business administration from the College of St. Elizabeth (where she glimpsed planes at nearby Morristown Airport), Linda’s first career opportunity was as an accountant in Princeton, NJ. On weekend excursions Linda would pass a “Learn to Fly” sign. This ignited her interest in flying. A $10 introductory flight at Robbinsville Airport was her next step. When the flight was over, she signed up for lessons! Linda earned her private pilot certificate in 1981. By 1983 she’d added her instrument rating and commercial, CFI and CFII certificates. She started instructing at Robbinsville. In the early 1990s, Linda affiliated with the Ninety-Nines and took up aerobatic flying. Soon after, she bought a Cessna Aerobat, incorporated Aero Safety Training, Ltd., and started teaching spin awareness, basic aerobatics and tailwheel transition courses. This lead to the merging of the two flight schools, Aero Safety Training and Lincoln Park Aviation under her ownership. In 1994, 1995, 2003 and 2004 she competed in the Air Race Classic, a an all-women 2200-mile cross-country air race. With help from the Ninety-Nines’ Amelia Earhart Scholarship, she earned her ATP rating in 1995. In 1999, Linda was the first instructor in the state of New Jersey to earn the designation of Master Instructor. Linda served as an FAA safety counselor and is currently a FAASTeam representative. 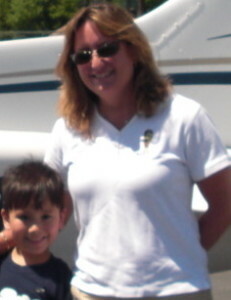 Linda was the 2009 instructor of the year for the Teterboro FSDO. She’s served as governor of the New York-New Jersey Section of the Ninety-Nines, and president of the Lincoln Park Pilots Association. In February 2010, she was selected as one of 10 winners in a nationwide “Make Mine a Million Dollar Business” contest sponsored by American Express and Count Me In. 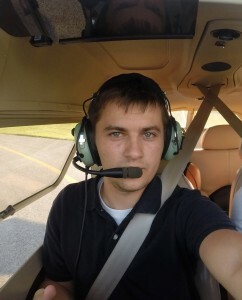 I had never been in a small airplane when I decided to go to college to become a professional pilot. My parents thought I was crazy when they dropped me off at the campus of Embry Riddle Aeronautical University. To their surprise, four years later I graduated with my Bachelor of Science in Aeronautical Science and my single-engine CFI/CFII rating. I started flight instructing in 1992 and have been instructing ever since. I joined Linda’s team when she first opened her doors in 1995 and, although I have moved away I have been back on her team for the past 10 years. I am a long time member of the Ninety-Nines and, after receiving two scholarships to finance my MEI and ATP I am now the Amelia Earhart Scholarship Chairman for the NY/NJ Section. My professional pilot career has been a series of progressive flying jobs that has made me the professional pilot I am today. I feel very fortunate to have such a diverse background. To summarize I have been a cargo pilot, charter pilot, United Airlines pilot and Corporate pilot. I hold many type-ratings including CASA212, Citation, Falcon, Boeing, Challenger and Gulfstream aircraft. For the past eight years I have been flying as a Captain for Pepsico Aviation in a Challenger 604 and Gulfstream IVSP. All the while my passion for instructing remains. Although I am only available on a part-time basis I feel like instructing is the most rewarding flying occupation I hold. I have met life-long friends and I truly continue to learn every day. It is such a pleasure to work with Linda and her team! In my spare time I love to spend time with family. My son has been flying with me since he was 8 weeks old and he looks forward to obtaining his license at AeroSafety Training. (as soon as he can reach the pedals!) We like to ride bikes, snowboard, swim, vacation at LBI and fly! My aviation story started when I was only fours year old and my dad sat me down in a glider. Right from that moment I knew that flying would follow me for the rest of my life and ultimately, I was right. After college, as many do, I entered the corporate world and spent over ten years in purchasing and management. Then, I finally decided it was time to start living my passion for aviation. 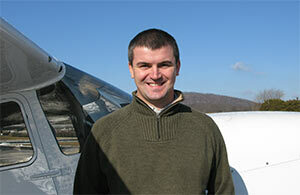 My wife and I moved back to New Jersey and I pursued my dream to become a flight instructor. It’s true I love to fly, but I’ve also discovered that teaching students is not just a job, it’s a real pleasure. I certainly enjoy sharing my passion for flight and helping my students learn the necessary skills, but I really appreciate the happiness and smiles I seem to be able to bring into their lives. On my days off I enjoy spending time with my wife, my baby daughter Anna and going for walks with the dogs. I also enjoy running, biking and cooking for my family. Wilbur Wright once said “It is possible to fly without motors, but not without knowledge and skill”. Our team at Aero Safety Training is providing exactly that: the knowledge and skill to make every one of our future pilots enjoy the blue sky in the safest environment possible. The opening came in 1998 when John was looking for a new pursuit to add to another one of his hobbies – playing in highly competitive volleyball leagues. An intro flight that summer ignited his desire to fly. “Once I was back down on the ground, I knew this was something I could accomplish – so I signed up for my first lesson,” he remembers. Within a year, John earned his Private certificate. 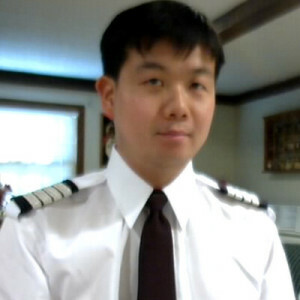 At that point, John wanted more aviation challenges and followed the urge to become a Flight Instructor. Teaching is not foreign to John: He tutored mathematics and computer languages while at Columbia University, where he completed a Bachelor of Science degree in Mechanical Engineering. With his newly minted Private Pilot certificate in hand, John set off for a flight school in Conway, S.C., where he obtained his Instrument and Commercial ratings, as well as his CFI and CFII certificates in 2000. He also picked up his high performance and tail-dragger sign-offs. He returned to New Jersey in August 2000 and began teaching at the same school where he had his first intro flight – Aero Safety Training at Lincoln Park Airport. In his spare vacation time, John plays volleyball and skis at various locations in the world. My oldest memory of aviation was that of a tremendously large tail belonging to Ilyushin Il-76 visible from behind tall concrete airport fence, on a beautiful sunny day driving somewhere across Eastern Europe. I was around six years of age back then, and ever since that day I remember myself being amazed by airplanes. I always wanted to go back in time to take a closer look at the tail. Little did I know that a brisk exposure of such short length, and at such young age was enough to formulate a lifelong passion. I started flying some 10 years later at the age of 16 and really enjoyed the training, as it challenged me in so many different aspects. I have learned how to be patient, think, multitask, make proper decisions, be in control, and…well, fly! Flying has also enabled me to learn mentoring skills, and develop my passion for teaching. I enjoy teaching others how to fly as it is fun, rewarding, and challenging. Today, flying has become more than a hobby. I consider flying as being my lifestyle which is always filled with passion, joy, and happiness. Flying keeps me going and it never gets old, never! It keeps my soul and mind engaged! I am also happy to have a family who supported me throughout years of endless training and still supports me in chasing my dream. My goal is to continue teaching others how to fly, and help them develop by seeing the world from a different perspective.